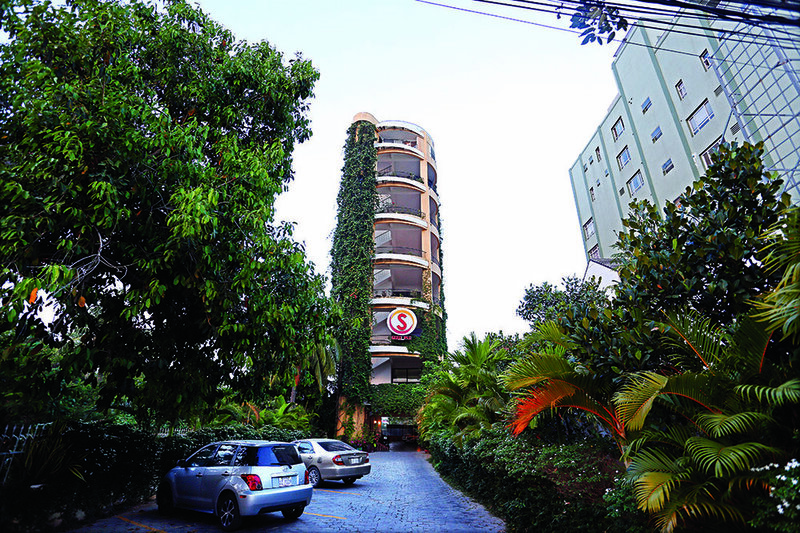 Our building, The Yellow Tower, was recently showcased in the March 29, 2018 edition of the Phnom Penh Post. The article highlights the most unique and elite qualities of our space – the lush vertical garden spanning over 2,400 square metres, rooftop balconies and courtyards overlooking the Tonle Sap, eclectic furniture and floorspaces, and much more. "Managed by Outpost, the collaborative work space offers open-plan seating, dedicated desks and private air-conditioned offices – with internet connectivity throughout and an IT room on every floor. Let your mood decide: work at a desk in an air-conditioned office, or flop down with a laptop on a beanbag chair in the breezy lounge."